Late payments can be a big deal, and they count significantly toward your credit score calculation. In my experience, it’s really not that difficult to get late payments removed. Here are three methods you can use to get them removed. I strongly recommend monitoring your credit report and credit score to see right when it’s removed so you can keep track of your progress. CreditKarma.com has the best credit report monitoring in my opinion, plus they include your credit score for free. The idea is simple and it works incredibly well. Many times creditors are happy to grant “goodwill adjustments” if your previous payment history is relatively good and you have established a good relationship with the creditor. This is probably the easiest and surest way to get a late payment removed from your credit report. 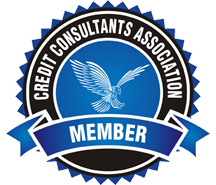 The process involves writing the creditor a letter explaining your situation (why you were late) and asking that they “forgive” the late payment and adjust your credit report accordingly. Sometimes creditors have a difficult time verifying the exact details of your account history. Therefore, if you dispute the late payment and they are unable (or simply don’t bother) to verify it, the negative entry will be removed. This is also a great technique on how to remove collections. Lastly, if you’re the type of person who would rather have a professional handle it and just be done with the whole thing, I suggest you check speaking with us to see what we can do to help you.